It only seems like yesterday that squashblog popped into the world, kicking and screaming at the low profile of the sport. It's aims were lofty. Much was expected as it toddled around tournaments, griped at governing bodies and wailed for (media) attention. Great players have retired, young prodigies have emerged, initiatives have been announced, courts have open and (mostly) closed. You can read about all that here and at greater length elsewhere. But squashblog was created with a different perspective: to look behind the headlines and give independent, objective comment about the wider state of the game - and provide a platform for you to respond. Actually this first one isn't a category I refer to in this site at all, but it is right that they are mentioned first. Many of the improvements noted below wouldn't have happened without the positive attitudes, professionalism, hard work and commitment of the majority of the top pros. Squash is blessed with, on the whole, a decent, commited crop of professional sportsmen and women who appear to take genuine interest in the development of the wider game as a whole. The rewards for professionals are relatively modest compared with others sports. To the credit of most of those on the professional circuit, they don't appear to bemoan this fact, and get on with representing squash with a dignity and respect for each other that puts other sports to shame. Very little has changed in the mass media in the UK: squash rarely merits a story in any of the British national dailies (there has however been some excellent coverage in local press) and I can't remember the last time it was on terrestrial TV. Web streaming has advanced, but is not yet ubiquitously accessible. Websites have come and gone: the emergence of Squash 360 appeared to invigorate the landscape, but ceased all too quickly. Squash Site, which provides the only reliable day-to-day news service for all professional events, has struggled due to the ongoing politics that sadly seem to dog squash. Elsewhere in the world media coverage appears to be on the increase: the success over the past couple of years of Egyptian players has raised the profile even higher in the country, and coverage in India and Pakistan and the far-east (such as Malaysia) is stronger than in Europe. The US - the market that promoters would really like to crack - has had strong regional coverage but little national attention. Anyone who has watched professional squash for more than a few years will have witnessed the change in speed of the game - more attacking play has been great for spectators can only help the game where it's image is concerned. But the velocity of the men's game over the past 24 months has increased such that some feel the soul of the game is being lost (the debate here seems to be heading the same way as 20/20 v test match cricket). PAR scoring has obviously been a factor, but it is difficult to argue that the squash has become less exciting because of it. Who would have predicted the dominance of the Egyptian trio of Shabana, Ashour and now Darwish two years ago? The fact that the top ten players have been representative of so many different countries is great for the global appeal of the sport, but it would be great to see a rivalry emerge a la Nicol/Power. I thought Ashour/Willstrop would fill this gap ... perhaps this year. The PSA tour is expanding, with events in new locations and more money coming in. However, the trajectory and stability which seemed to have been established at the top of the organisation before Christmas will need re-assessment after the shock departure of Richard Graham. Though seemingly the better ran of the professional tours, I can't help but think there is an element of resting on laurels. It would be great to see some bigger events in the UK and US, but is there demand? WISPA has a 'great product'; Nicol David is a great ambassador for the sport, and a great role model for younger players. Like the PSA tour, the plurality of nations represented at the top of the game should be a great draw for promoters. Almost two years ago to the day I wrote an article that suggested that the level of competition at the top of the women's game might not have been what it was. Have things moved on? The Malaysian star has indeed become the dominant force, and the Grinham sisters (while swapping places in the world rankings) are now considered beatable by lesser-ranked players. There are flashes of resurgence (Grainger, Atkinson) or hints that new heights are about to be scaled (Duncalf, Abdel Kawy), but no-one looks like challenging David early in 2009. Again, a good old rivalry in the top five would shake things up. Where to start. Apparent lack of direction at the WSF, a resignation at the top, the Olympic campaign seeming to be without co-ordination and professionalism. Progress towards getting its house in order appears to have been made around the time of the October's World Open, but the organisation will be primarily be judged over the next year by what happens at the Copenhagen vote. The election of Richard Graham by the PSA looked to have given a clear signal that marketing, promotion and media coverage - all things that squash has been historically not done well - were to be addressed. How will his departure have a bearing on the way these key areas? New initiatives and events have been announced or planned, many at the instigation of new Chairman Ziad Al-Turki. The investment and enthusiasm that Al-Turki is bringing is being welcomed by all in the game, but it will take two years before we will be able to judge whether this investment has endowed professional men's squash with a stronger footing to grow in the medium and long term. Most of the money flowing into the men's game is coming from the Middle East, which (along with Egypt) has pulled the epicentre of squash away from Europe over the time this site has been up and running. The development of professional squash in regions or countries that display a greater enthusiasm for the sport is welcomed and should help to bring different perspectives and ideas to the game. But the money coming in from the 'top' has to be matched by increased participation, whether in playing or spectating. Photos from some big-money events in the Middle East, for instance, often show rather empty stands. Also, it would be sad if money only made squash inaccessible to women in certain countries, again whether playing (as an amateur or professional) or watching. Squashblog hasn't fired many words at national bodies since it started, and it is perhaps a little unfair to suggest that the WSF, PSA and WISPA can do everything alone - especially with their budgets. We hope to look at the performance of these in 2009. I've tried to keep a regular eye on court closures - and the occasional opening! - where they make the local press. Great to see local activists fighting to retain squash courts in their area, but all too often they lose out to the gym developers. The proposed facility at the University of Sussex is probably the most positive story in this area to come out of the UK recently - let's hope the facility sees the light of day. The closure of the historic Lambs club in London brought an end to an era; if the loss of the Lambs had any positive knock-on effect locally, it was in bringing home to many the fact that the capital is losing courts at demoralising rate - and motivating them into saving the courts that are left (Sobell, Finsbury). Some countries are going in a different direction. Egypt - on the back of the success of its pros - is building more and more courts to satisfy demand. This is a difficult one to judge without accurate statistics from national governing bodies. There have been a number of great initiatives aimed particularly at young people over the past couple of years, with the Mini-Squash programme for kids in the UK, and multiple schemes in the US - often allied to social programmes aimed at keeping teenagers off the streets. So much has been said on this site and elsewhere. Some people had better be working very hard behind the scenes! Trials and tests have continued, with radar guns, instant replays, electronic scoring and other bits and pieces making an appearance. Great to see promoters and organisers getting innovative, and it would be nice to see some of these become benchmarks for future tournaments - there were no instant replays on the big screens at the Worlds, for instance. It's time to get serious. Developments in filming squash for TV have certainly brought better coverage, but the advances have been incremental. There simply are not enough media players out there, competing to provide the best coverage, which in turn will drive up quality. We'll be following closely the degree to which the 'TV issue' is a factor in the latter stages of the Olympic campaign later this year. Here's hoping it's not the deal-breaker: let's not kid ourselves - televising squash has not been cracked. Announcements by England Squash and the PSA that they are to employ professional consultancies to help with their marketing and public relations is a step in the right direction. This hitherto neglected area is key to competing in sports marketplace, and we look forward to seeing the results. Perhaps less visible advances with the WISPA tour. As I keep reading in the squash press, they have a 'great product' - let's see some bolder initiatives marketing that product in 2009. The PSA in particular has done a lot in this area over the past couple of years, one example being a nice promo from Pro-Active TV suggesting the urban possibilities of settings, clothing and music. There is a lot of mileage in this, and it would be interesting to see this take on squash's image perhaps coupled with an initiative for youngsters. Squash clubs - at least in the UK - still set the tone where image is concerned. Though not the yuppie playgrounds they might have been in the 1980s, a perception, at least, still exists that squash is cocooned in bubble of exclusivity - at least in the south of England. This image is even stronger in the US, where the ghost of Gordon Gekko still haunts city club courts. 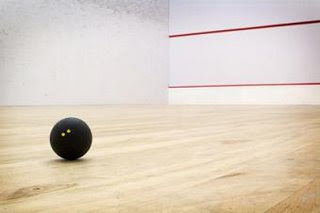 Real or not, this idea of squash has to be dispelled if participation is to increase and more courts are not to be refurbished to make way for subscription-based 'health clubs'. Money from the Middle East now out-muscles anything that can be offered in Europe or the US. $3 million is reputedly on offer across the men's tour this year, a large increase on where things were five years ago. The women's tour prize fund has grown hugely in the past 5-6 years, and it is a strong reflection on the running of the organisation that the sponsors keep stumping up bigger purses. What looms over all this, of course - and with Bear Sterns going to the wall there has already been one big squash event casualty - is the impact the credit crunch/recession might have on sponsor's marketing budgets. Some initiatives have already been mentioned above under marketing, image etc. Also worth considering that players have their own individual sponsors, but I would hazard a guess that the figures do not remotely approach tennis player sums, and I would doubt that these would be affected by the financial situation unless a player was sponsored by a small manufacturer that went bust. As I've written on this site at length in the past, squash has rather a flirtatious relationship with the finance industry when it comes to sponsorship. In the US JP Morgan can find the money for the current Tournament of Champions, but I cannot remember the last time an City of London company put a penny up for an event. Why can't squash court :) those big earners who regularly play the game? Like judging participation, this is a very hard one to call. In those developing countries (see below) and those countries that have had particular success at a professional level (such as Egypt), squash seems to be growing in popularity. It is in the 'traditional' squash-playing countries that there appears to be a decline: England (or the UK as a whole - you can't play if there aren't any courts! ), Australia (doubts about the commitment to the game from top-level sports administrators), and Pakistan (fewer youngsters coming through). France, a country not previously renowned for its squash prowess, has had significant success in the professional game (Lincou and Gaultier) and this seems to have filtered through to swell grass-roots participation. Whether these two things are related is difficult to tell, but the French pros do receive more media coverage in their country than, say, the English players do in the UK. By developing countries I mean countries that are developing where squash is concerned - into this category I have written articles mainly about the US and India. Does Malaysia qualify as a developing squash nation? They've got the best women in the world, and the strength in depth of the professional men has really come on over the pas year or so. Having recently visited the country it appears to be another racket sport that has taken hold amongst the population - following on from badminton which is extremely popular. We've not followed the junior scene with a huge amount of scrutiny over the past two years. What we have observed can be summarised thus: Egypt rose as England weakened. Some interesting initiatives/experiments, often using technology as described above. There is surely scope for improving or expanding the tools that the officials have at their disposal - where other sports are taking the lead, squash may be able to learn lessons. What appears to have changed over the past couple of years or so - and the move to PAR scoring has something to do with this - is the number of contested points or player-official conflicts. This was noted by IOC officials as something that squash must improve on, and progress seems to have ben made. Credit must also go to what appears to be a very small group of officials who travel the world refereeing/marking professional squash events. I would guess that the remuneration is small, but most games I have seem have been officiated to a very high standard. Disagree? 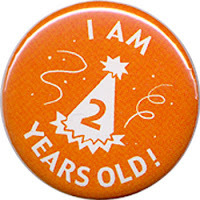 How will things have moved on in another two years? Squash in the USA has had a series of false dawns. The Tournament of champions is the best platform for the sport at a great location but more promoters need to come in and stage events elsewhere in the country. Happy Birthday. The world of squash blogs is small, but important. It is great to hear opinions and debates. please look at what a group in the U.S (Professional Squash Tour) is doing to promote this great game, it is all good for the game but i know the PSA is trying with all their might to stop their progress which is counter to what the game needs which is more squash, more experimentation with scoring and rules (see their no let rule) and more fan participation. This is all good and the PSA should stand down or come up with more positive ideas.